I don’t know about anyone else, but I truly enjoy reading the book before I see the movie whenever possible. I thought I’d let you know what books appear to be making their to the silver screen this year. Please note the dates of movies are always subject to change and are not written in stone. If a book has TBA in front of the year, then the exact date it will hit the theaters is yet unknown. For those slated for 2018 without a specific date, there is a good chance they'll get pushed back to the following year. I plan on creating a second list of all the books that have had their screen rights bought, but have no date or year associated with them. I will publish that list later. It's a biggie. If you'd like to purchase one of the books, click on its cover or title and you'll be magically transported to Amazon. When an undercover operation monitoring the Real IRA goes horrifically wrong, British Intelligence turn to the one man who can get their agent out: Stratton, SBS operative with a lethal reputation. It's a dangerous race against time: if the Real IRA get to the Republic before Stratton gets to the Real IRA, his colleague is as good as dead. But the battle in the Northern Ireland borders is just the beginning. For there can only be one way the Real IRA knew about the British agent: someone within MI5 is tipping them off. A surveillance mission is mounted in Paris to identify the mole but ends in disaster: Hank Munro, US Navy SEAL on secondment, is captured. Munro's wife Kathryn is distraught, and her priest Father Kinsella is very supportive. Kinsella, though, is not the holy man he seems, and Kathryn becomes an unwitting part of a deadly Real IRA plan, a terror attack the likes of which London has never seen . . . When Hank is inadvertently kidnapped by terrorists on an SBS 'safe op', Kathryn returns home to America, only to be manipulated by a priest and secret IRA godfather into playing a political role in the negotiations for Hank's release. Unknown to her she is to have a key part in the most destructive terrorist assault in Irish Republican history, one that holds the fate of hundreds of thousands of Londoners in its hands. Billy Bloom is gay, but it's mostly theoretical, as he hasn't had much experience. When he has to move to Florida, he can't believe his bad luck. His new school is a mix of bible belles, amberzombies, and football heroes -- none of which are exactly his type. Billy's efforts to fit in and stand out at the same time are both hilarious and heart warming. In this novel from adult author and media personality James St. James, readers are in for a wild ride as he tells Billy's fascinating story of bravado, pain, and unexpected love, inspired by his own experiences. It is Tib the black cat who leads Mary to the strange flower in the woods. When she discovers a little broomstick shortly afterwards, she is astonished to feel it jump in to action. Before she can gather her wits, it is whisking her over the treetops, above the clouds, and in to the grounds of Endor College, where: 'All Examinations Coached for by A Competent Staff of Fully-Qualified Witches.' Here she discovers evidence of a terrible experiment in transformation - deformed and mutant animals imprisoned in cages. In the moment after her broomstick takes off, she realises that Tib has been captured. Returning to the College the following day, she manages to free the animals, but not before the Head of the college, Miss Mumblechook, and her colleague, Doctor Dee, have seen her. Mary manages to flee... but the evil pair are in hot pursuit! The unforgettable cross country journey of a runaway couple in their twilight years determined to meet the end of all roads on their own terms—a major motion picture from Sony Pictures Classics starring Helen Mirren and Donald Sutherland. The Robinas have shared a wonderful life for more than sixty years. Now in their eighties, Ella suffers from cancer and John has Alzheimer's. Yearning for one last adventure, the self-proclaimed "down-on-their-luck geezers" kidnap themselves from the adult children and doctors who seem to run their lives and steal away from their home in suburban Detroit on a forbidden vacation of rediscovery. With Ella as his vigilant copilot, John steers their '78 Leisure Seeker RV along the forgotten roads of Route 66 toward Disneyland in search of a past they're having a damned hard time remembering. Yet Ella is determined to prove that, when it comes to life, you can go back for seconds—even when everyone says you can't. When Joe Brinson was sixteen, his father moved the family to Great Falls, Montana, the setting for this harrowing, transfixing novel by the acclaimed author of Rock Springs. Filled with an abiding sense of love and family, and of the forces that test them to the breaking point, Wildlife—first published by Atlantic Monthly Press in 1990 and now reissued as a Grove Press paperback—is a book whose spare poetry and expansive vision established it as an American classic. The ultimate biography of National Lampoon and its cofounder Doug Kenney, this book offers the first complete history of the immensely popular magazine and its brilliant and eccentric characters. With wonderful stories of the comedy scene in New York City in the 1970s and National Lampoon’s place at the center of it, this chronicle shares how the magazine spawned a popular radio show and two long-running theatrical productions that helped launch the careers of John Belushi, Bill Murray, Chevy Chase, and Gilda Radner and went on to inspire Saturday Night Live. More than 130 interviews were conducted with people connected to Kenney and the magazine, including Chevy Chase, John Hughes, P. J. O’Rourke, Tony Hendra, Sean Kelly, Chris Miller, and Bruce McCall. These interviews and behind-the-scenes stories about the making of both Animal House and Caddyshack help to capture the nostalgia, humor, and popular culture that National Lampoon inspires. Familie Wünschmann ist nicht happy. Mama Emmas Buchladen geht Pleite, Papa Frank ist völlig überarbeitet, die pubertierende Fee bleibt sitzen und Sohnemann Max wird von dem Mädchen, das er liebt, ins Schulklo getunkt. Kein Wunder also, dass sich jeder mit jedem streitet. Und als ob das alles noch nicht genügen würde, werden die Wünschmanns nach einem Kostümfest auch noch von einer Hexe verzaubert: Plötzlich sind sie Vampir, Frankensteins Monster, Mumie und Werwolf. Gemeinsam jagen die frischgebackenen Monster nun um den halben Erdball der Hexe hinterher, damit diese den Fluch wieder rückgängig macht. Bei ihrem turbulenten Abenteuer treffen die Wünschmanns auch auf jede Menge echte Ungeheuer wie Vampire, Riesenechsen und schwäbische Pauschaltouristen. Sogar auf Dracula höchstpersönlich, dessen unwiderstehlichen Charme Mama Emma widerstehen muss. Tja, niemand hat behauptet, dass es einfach ist, als Familie das Glück zu finden. Beatrix Potter's four stories featuring Peter Rabbit are brought together in one volume, so that Peter's escapades can be read as a continuous saga. The Tale of Peter Rabbit, The Tale of Benjamin Bunny, The Tale of the Flopsy Bunnies and The Tale of Mr. Tod are all included. From Peter's mischevious childhood in Mr. McGregor's garden to the time he rescues a family from Tommy Brock's clutches, Peter Rabbit's story is one children will want to hear again and again. In the 1960s, Stan Lee and Jack Kirby created an unprecedented string of classic comic book heroes. One of them was the high-tech king of Wakanda, The Black Panther. When the Panther began his own solo series, Don McGregor strove to meet Lee and Kirby's high standard with "Panther's Rage." It was an epic adventure so huge it ranged across the savannah, into the deepest jungles and up snow-topped mountains. Over its course, McGregor would explore and expand the life and culture of Wakanda and their African kingdom in compelling detail. Black Panther: The Official Movie Special is a complete visual and behind-the-scenes guide to Marvel Studios' highly anticipated next movie. With exclusive behind the scenes photos from the movie sets, stunning concept art revealing the beautiful, secretive nation of Wakanda, interviews with the stars of the film, including Chadwick Boseman, Michael B. Jordan, Lupita Nyong'o, Andy Serkis, Martin Freeman, Forest Whitaker and Danai Gurira, this stunning collector's book is a must-have for all fans of everything Marvel! Paul Benjamin, a successful accountant in New York City, is enjoying a three-martini lunch when his home is broken into by a gang of drug addicts. For just a handful of money, they savagely beat Paul's wife and daughter, leaving his wife dead and his daughter comatose. Grief-stricken and forced to reevaluate his views, Benjamin becomes disillusioned with society and plots his revenge on the perpetrators, whom the police are unable to bring to justice. Armed with a revolver and total disregard for his own safety, he sets out to even the score. Fifteen-year-old Charley Thompson wants a home, food on the table, and a high school he can attend for more than part of a year. But as the son of a single father working in warehouses across the Pacific Northwest, Charley's been pretty much on his own. When tragic events leave him homeless weeks after their move to Portland, Oregon, Charley seeks refuge in the tack room of a run-down horse track. Charley's only comforts are his friendship with a failing racehorse named Lean on Pete and a photograph of his only known relative. In an increasingly desperate circumstance, Charley will head east, hoping to find his aunt who had once lived a thousand miles away in Wyoming  but the journey to find her will be a perilous one. Meet the future of the X-Men! Karma. Wolfsbane. Sunspot. Cannonball. Moonstar. They're teenagers, thrown together by the X-gene that makes them diff erent. Follow the adventures of these young mutants from Karma's first meeting with Spider-Man and the Fantastic Four, to their early days at the Xavier School! The New Mutants' on-the-job training begins in earnest with battles against Sentinels, the Silver Samurai, Viper and the Hellfi re Club, and a team-up with Spidey and Cloak & Dagger -all while they'll get a taste of life as X-Men in a disturbing encounter with the Brood! A small, close-knit Orthodox Jewish community in London is the setting for a revealing look at religion and sexuality in Alderman's frank yet heartfelt debut novel, Disobedience. The story begins with the death of the community's esteemed rabbi, which sets in motion plans for a memorial service and the search for a replacement. The rabbi's nephew and likely successor, Dovid, calls his cousin Ronit in New York to tell her that her father has died. Ronit, who left the community long ago to build a life for herself as a career woman, returns home when she hears the news, and her reappearance exposes tears in the fabric of the community. Steeped in Jewish philosophy and teachings, Disobedience is a perceptive and thoughtful exploration of the laws and practices that have governed Judaism for centuries, and continue to hold sway today. Throughout the novel, Alderman retells stories from the Torah -- Judaism's fundamental source -- and the interplay between these tales and the struggles of the novel's unique characters wields enormous power and wisdom, and will surely move readers to tears. Alderman's greatest feat is in combining her extensive knowledge of Judaism with a story that is universal. Her characters, to be sure, are Jewish, but her novel recalls works like To Kill a Mockingbird and The Scarlet Letter, as it speaks to communities and readers everywhere. When evil dopplegangers of the Marvel heroes appear, it's all-out war! Why has Magus unleashed them on an unsuspecting world? And is the heroes only hope Thanos! Plus, will the Infinity Gauntlet swing the tide of the war? Marvel's size-changing superstars in astonishing adventures! Meet scientist Hank Pym - and find out how he became the man in the anthill! 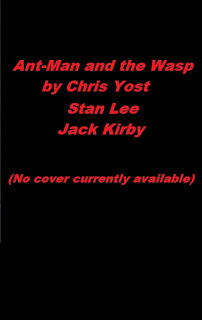 Hank soon harnesses his shrinking prowess to become Ant-Man - joined by his partner-in-crime-fighting, Janet Van Dyne, the high-flying Wasp! And in an all-time classic, Scott Lang - Hank's successor as Ant-Man - races into action with Hawkeye against the Taskmaster! 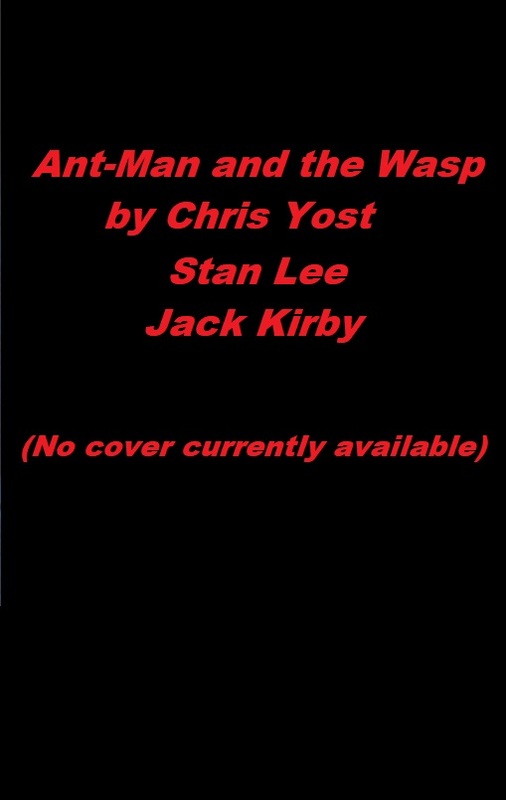 Plus, it's Ant-Man and Hulk versus the Mad Thinker, while Wasp must save Captain America from the Wendigo! Tiny foes cause Jan big trouble when invaders from the Microverse attack! And Hawkeye puts Scott Lang through his paces on Monster Island! All New Revised and Expanded! Includes Meg: Origins. Carcharodon megalodon apex predator of all time, the most fearsome creature that ever lived a 70-foot, 60,000 pound Great White Shark. Hundreds of 7-inch serrated teeth filled jaws that could swallow an elephant whole. It could sense its prey miles away,inhaling its scent as it registered the beat of its fluttering heart, and if you ever came close enough to see the monster...it was already too late. For Navy deep-sea submersible pilot Jonas Taylor, it nearly was too late. Years ago, on a top-secret dive seven miles down into the Mariana Trench, Jonas came face to face with an ancient monster everyone believed extinct. Having barely escaped with his life, Jonas must prove to the world that Meg still exists.When an opportunity to return to the trench presents itself, he takes it, intent on returning topside with a 7-inch tooth! But man's presence in this unexplored domain releases one of the sharks from its purgatory, and now Jonas is the only one who can stop it. Soon to be a major motion picture (Warner Bros.) starring Jason Statham, Ruby Rose,Rainn Wilson, Bingbing Li, and Jessica McNamee. Flash Thompson is Spider-Man's biggest fan. That hero worship inspired him to join the Army, where he became a decorated war hero. And though he lost his legs, Flash never lost his dignity - or his desire to serve. Now, the government has offered him a chance to don the alien Venom symbiote and be a hero once again! Now, Flash Thompson is Venom, the government's most lethal special operative. But Flash soon finds himself losing control of his own mind to the symbiote! And when his nemesis Jack O'Lantern blackmails Flash into serving the merciless Crime-Master, can Venom complete his mission and save his loved ones? Plus: What if the Venom symbiote bonded with...Deadpool? Collecting: Venom 1-12, Venom/Deadpool: What If? Before turning to the criminal life, running a one woman forgery scam out of an Upper West Side studio shared with her tortoiseshell cat, and dodging the FBI, Lee Israel enjoyed a celebrated reputation as an author. When her writing career suddenly took a turn for the worse, she conceived of the astonishing literary scheme that fooled even many of the experts. Forging hundreds of letters from such collectible luminaries as Dorothy Parker, Noël Coward, and Lillian Hellman -- and recreating their autographs with a flourish -- Israel sold her "memorabilia" to dealers across the country, producing a collection of pitch-perfect imitations virtually indistinguishable from the voices of their real-life counterparts. Exquisitely written, with reproductions of her marvelous forgeries, Can You Ever Forgive Me? is Israel's delightful, hilarious memoir of a brilliant and audacious literary crime caper. A classic story of friendship between man and beast.Saved from the jaws of the evil tiger Shere Khan, young Mowgli is adopted by a wolf pack and taught the law of the jungle by lovable old Baloo the bear and Bhageera the panther. The adventures of Rikki-Tikki-Tavi the snake-fighting mongoose, little Toomai and the elephant's secret dance, and Kotick the white seal are all part of Mowgli's extraordinary journey with his animal friends. Collects Marvel Universe Ultimate Spider-Man Spider-Verse #1-4. Featuring screen-capture images from MARVEL'S ULTIMATE SPIDER-MAN: WEB-WARRIORS! Join Spider-Man on his wildest adventure yet,as the Green Goblin transports him through several alternate dimensions — each with its own Spider-Man (or Woman)! Things get tricky as Spidey fights Loki and Doctor Octopus with the help of Spider-Man Noir and the porktacular Spider-Ham! As the Goblin steals Spider-DNA from every dimension they visit, Peter Parker teams up with Miles Morales! Meet the armored arachnid known as Spyder-Knight! When Greeny nabs everything he needs from the Web-Warriors, can Spider-Man handle the awesome combined power of the Spider-Goblin?! Just click on one of the covers listed below to be transported to GoodReads where you can read the description. Castle Rock - Based on the stories of Stephen King, the series will intertwine characters and themes from the fictional town of Castle Rock. P.S. Yes, I searched for all these movies. I am exhausted. Hopefully I found them all, but I wouldn't bet on it. What a great post! Thanks for all the research you did. I'm looking forward to seeing many of these!